Last November’s blog not only introduced the high level concepts of Smoke Control Systems vs. Smoke Management Systems, but also defined the difference between the two and how the systems are classified. If you didn’t get a chance to check it out, please do. It’s chock full of information that can help even the most knowledgeable system designers. This month we are going to focus on code compliance and what it means to have a true UL 864 complaint smoke control system. First, let’s define the various codes and standards that dictate when a smoke control system is required, where it’s required, how it’s installed, and what components to use. Since codes and standards vary from state to state and country to country, this blog does not take into account the many variances that are common across all commercial markets. It does, however, provide the reader with a solid selection of codes and standards that are universally adopted and used throughout the life safety industry when designing and installing smoke control systems. 1.1 Scope. 1.1.1 NFPA 72 covers the application, installation, location, performance, inspection, testing, and maintenance of fire alarm systems, supervising station alarm systems, public emergency alarm reporting systems, fire warning equipment and emergency communications systems (ECS), single and multi-station household alarm systems and their components. 1.1* Scope. This standard shall apply to the design, installation, acceptance testing, operation, and ongoing periodic testing of smoke control systems. A.1.1 This standard incorporates methods for applying engineering calculations and reference models to provide a designer with the tools to develop smoke control system designs. The designs are based on select design objectives presented in Section 4.1. This standard addresses the following topics: (1) Basic physics of smoke movement in indoor spaces (2) Methods of smoke control (3) Supporting data and technology (4) Building equipment and controls applicable to smoke control systems (5) Approaches to testing and maintenance methods. 1.1* Scope. Suggested procedure for determining the Code requirements for a building or structure: (1) Determine the occupancy classification. (2) Determine if the building or structure is new or existing. (3) Determine the occupant load. (4) Determine the hazard of contents. (5) Refer to the applicable occupancy chapter of the Code, Chapters 12 through 42. (6) Determine the occupancy subclassification or special use condition, if any exist. Where two or more requirements apply, refer to the occupancy chapter, which generally takes precedence over the base Chapters 1 through 4 and Chapters 6 through 11. Where two or more occupancy chapters apply, such as in a mixed occupancy, apply the most restrictive requirements. The Code (NFPA 101) addresses those construction, protection, and occupancy features necessary to minimize danger to life from the effects of fire, including smoke, heat, and toxic gases created during a fire. The Code establishes minimum criteria for the design of egress facilities so as to allow prompt escape of occupants from buildings or, where desirable, into safe areas within buildings. The Code also addresses protective features and systems, building services, operating features, maintenance activities, and other provisions in recognition of the fact that achieving an acceptable degree of life safety depends on additional safeguards to provide adequate egress time or protection for people exposed to fire. Scope and purpose. * This section applies to mechanical or passive smoke control systems where they are required by other provisions of this code. The purpose of this section is to establish minimum requirements for the design, installation and acceptance testing of smoke control systems that are intended to provide a tenable environment for the evacuation or relocation of occupants. These provisions are not intended for the preservation of contents, the timely restoration of operations or for assistance in fire suppression or overhaul activities. Smoke control systems regulated by this section serve a different purpose than the smoke- and heat-venting provisions found in Section 910. Mechanical smoke control systems shall not be considered exhaust systems under Chapter 5 of the/International Mechanical Code. Building codes help define building types and occupancy classifications that include smoke control. Codes also clarify what smoke control systems need to accomplish. However, contrary to popular belief, they do not dictate the specific system utilized when performing smoke control functions. The IBC, for instance, requires that smoke control systems “be equipped with a control unit complying with UL 864 (Underwriters Laboratories’ Standard for Control Units and Accessories for Fire Alarm Systems) and listed as UUKL smoke-control equipment.” Other codes are less specific, including only boilerplate text requiring that equipment be listed for its intended purpose. Even though both fire alarm and smoke control systems are listed under UL 864, their listings are not interchangeable. Fire alarm systems are listed for their ability to detect and annunciate fire conditions, while smoke control systems are listed for their ability to perform specified control logic and adhere to certain priorities of operation. Systems with both abilities can be listed for fire alarm and smoke control use. As a note of caution, only those systems that carry a UL 864 UUKL listing can be used for smoke control. This includes all peripheral equipment that connects to the listed control panel. The Firefighters Smoke Control Override Panel must be UUKL cross-listed with the manufacturers control panel and electronic interface boards to ensure proper operation during extreme conditions. It’s common to find a UOXX listed smoke control panel installed which has not been verified to meet the UUKL testing standards, even though they may appear to work as designed. Both the IBC and NFPA 92 require smoke control systems to verify that equipment activates as intended within the allotted time (a maximum of 60 seconds is allowed for fans to spin up or down and 75 seconds for dampers to travel to intended positions). Smoke control systems must indicate a fault condition if a device fails to activate or does not remain active for the intended period of time. While the ability to provide end-to-end verification is resident in some systems listed for smoke control applications, others require extensive programming, which adds to installation costs. In some instances when a standalone smoke control system is required for code compliance or retrofit restrictions, finding a cost effective technology that’s UUKL listed can be a challenge. Building owners, AHJs, and risk insurers like Factory Mutual understand the importance of listed products when it comes to life safety. This is why the Space Age Electronics Building Smoke Control Board is a cost effective solution that bridges the gap between non UL listed control equipment and the listed smoke control system. This one simple solution satisfies the largest and smallest project compliance needs. The BSC board consists of a three-position switch, two output dry contacts, provisions for both on/open and off/closed positive feedback from field devices, and LEDs to annunciate field device status. Lamp test, engage switch, “common” trouble contacts, and piezo are standard. The BSC module can be configured for either 60 or 75 second delay for fan/damper start up time. Timing is selected via Dip switches on the board. If field equipment does not reach its intended operating status in the designated time, the “common alarm bus” signals the associated base module, gives a relay closure, and sounds the piezo until the field devices reach their intended status. LED’s give status for “ON/OPEN”, “OFF/CLOSE”, “Fault”, and an optional “SWITCH OUT OF POSITION”. This small surface mount technology board manages all the logic functions for each fan or damper. The BSC board controls all multicolor LED’s, provides rotary or toggle switch on/off commands, monitors control point feedback for device confirmation, and keeps track of all required timing functions of each fan and damper in the system. By eliminating the need for the majority of third party electronic boards needed for these functions, this dedicated system method saves equipment and programming costs and minimizes facility disruption during testing, all while maintaining full UL 864 UUKL listings. 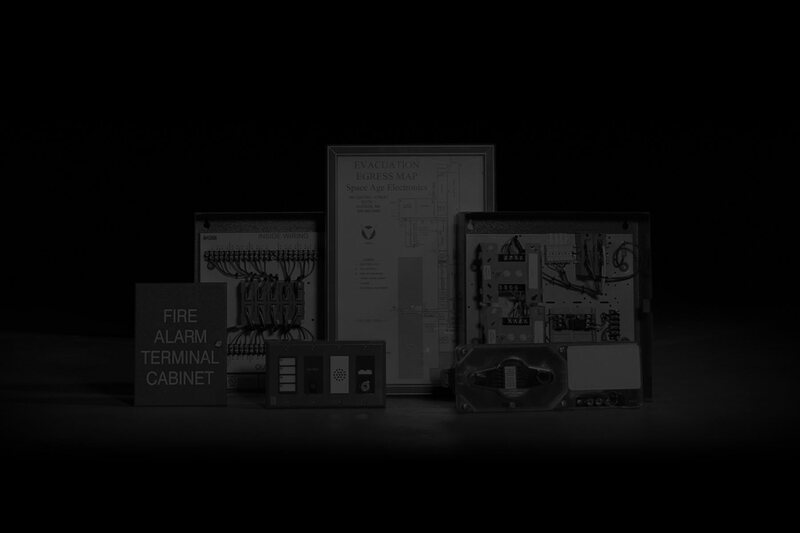 These compact modules can also integrate seamlessly with most Fire Alarm Control Panels, providing a custom UUKL listed cross-compatible solution which keeps occupants safe from the threat of fire and smoke. A properly designed, installed, programmed, and maintained smoke control system is dependent on a wide variety of design professionals and tradesmen. It begins with the architect and ends with the owner of the building. Every discipline in-between has a vital role in delivering a code compliant and functional smoke control system that adds valuable egress time during a natural or man-made disaster. Educated design professionals, installers, and service personnel ensure proper compliance of these sophisticated electromechanical systems with national and local life safety codes. ← A 21st Century Industrial Revolution! Very well written. Clear and concise. Thanks for putting this out there Mike, as there can be a lot of confusion surrounding smoke control systems integrated with fire alarm systems.